This year’s Connected Car Insurance Europe opened for the first day with topical discussions about the future of the insurance industry, the need to use telematics data as the stepping to stone to this goal, how telematics can be used to changed driver behaviour and about how to better manage risk while offering customers better added value insurance products and services. The delegates were introduced to the day’s discourse by the event’s project director Thomas Wilson. Steve Hales, head of connected insurance at Generali Group, then took the bull by the horns and claimed that Italy is one of the most developed telematics markets. In summary, he said that from 2012 to 2015 “passenger cars that have a black box on board [have] increased by almost 50% per year, from 4.4% to 13.7%.” It was predicted that in 2016 black box installations would increase by about 18%. They are mainly installed in the south of Italy but he says there is a good penetration of them in the centre of the country and particularly in some of its cities. He also talked about customer profiling with telematics data, why it’s important to offer customer feedback to encourage better driving behaviour. Generali does this by providing trip summaries and details of drive progress – depending on whether an individual driver has acted previously upon the information provided. Some drivers will inevitably ignore it because, it was suggested during the conference, that most people think of themselves as being very good drivers and to suggest otherwise is quite a sensitive and emotional topic that feedback must be offered accordingly. Hales spoke of Connected Car Insurance: Taking the Bull by the Horns. He thinks there need to be proactive protection through connectivity and flexibility, arguing that they are the key ingredients to delivering high quality real-time services to customers through leveraging telematics data. The aim is to continue to enrich the customer experience and the feedback about how well drivers is doing is fed back through their smartphones because they are designed for our pockets. Most people carry them around and so they will play an important role in connected car insurance. · Think about the value of data generated and digital experience, not just profitability. Aldo Monteforte, founder and CEO of The Floow, then revealed that his company employs several kinds of scientists. 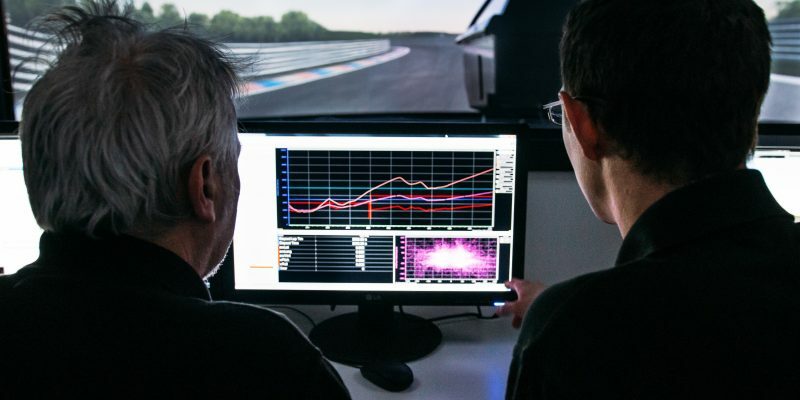 Data scientists are required in his view to make sense of the telematics data, and social scientists or psychologists have the task of persuading people to adjust their driving behaviour whenever it found to be far from good. In his view, the ultimate aim is to bring telematics to the mass market, which some might consider to be a lofty ambition. Even if does seem so he says that all insurance companies – old and new – have had to stand by their promise to their customers. That means standing behind their customers to support them whenever they need help. In his view this is the guiding light that informs the leaders of insurance companies. Those leaders need to consider how they can offer fair pricing, which Monteforte said can be enabled by telematics. “Fairer pricing and a richer consumer experience [are essential] to fulfil the promise,” he argued before commenting that the day is collated from smartphones – a reliable source of insurance data in his view. He added that black boxes are very popular too. “When policies are priced above £1,000 it’s worth investing in a black box because you might have an expensive car that’s at risk of theft,” he said. He thinks that different devices relate to different circumstances and consequently not everyone will need a black box solution. A tethered usage-based insurance (UBI) solution – perhaps involving a tethered smartphone and mobile app may be sufficient for certain types of customers. For example, a smartphone solution might be more relevant to new and younger drivers. In contrast, older drivers may prefer a black box solution. Other telematics solutions providers and insurers will score their customers based on other criteria, which can as the speakers said make data portability more challenging. However, The Floow believes that customer engagement is crucial to creating traction. In the UK, the company offers young drivers a mobile application which includes a reward programme for good driving behaviour. He also spoke about how important he considers driver education to be, how to use the data to analyse risk for segmentation purposes. These tools can be used to create dialogue with customers. He thinks that P2P car-sharing will be important, and a natural way to exploit the concept of shared mobility, which the carriers can benefit from. Insurance companies have many legacy systems, and it’s easy for us to adapt to them. He also believes that smartphones are here to stay for a long time to come, and they should be included in a carrier’s strategy. Dan Preston, CEO of Metromile, then talked about The Journey because his company scores motor insurance customers based on how many miles they’ve driven. “We have to build retro-actively the number of miles you’ve driven, and we can use the data [for smarter claims processing],” he said. So, if a customer has an accident, a mobile app can be used to report the incident. It also allows Metromile to ask that person several pertinent questions about the incident while the customer is on the scene. While on scene the customer is asked to take a picture of the aftermath of the accident. “We verify what they tell us happened with the physical evidence.” This is supported by an expert with a dashboard who use it to make a full assessment of whether a claim should be accepted and paid to the customer. “This is part of our connected intelligence platform, automating many of the manual processes…,” he revealed. Colin Smithers, CEO and founder of Redtail Telematics, looked at Maximising ROI by total risk modelling and talked about, for example: insurance telematics methods, data and devices, scoring, digesting the data, data presentation methods, incident notification and reconstruction, machine learning, and he discussed the business benefits of telematics-based insurance. With regards to risk modelling he said that telematics can be used to assess risk and to assist pricing by assessing driver behaviour and by measuring the accumulative risk elements of a policyholder. He commented in one slide that risk can be mitigated by detecting drivers who won’t be controlled to allow for appropriate handling. He said he finds that telematics can help the claims room by providing immediate notifications to beat the ambulance chasers. With it visual aids can be used to enable improvements in the interpretation of what actually happened during an accident. This permits early interventions to occur and it can help to assess where the liability lies. Equally important to all of these aspects is that it mitigate and to detect fraudulent claims. His speech was followed by a Fireside Chat: Preparing for the Mobility Revolution – Insights from the Board Room about preparing the insurance industry for the mobility revolution. During the afternoon there were a number of similar panel sessions about a variety of topics, such as The Tinderfication of Insurance; a panel exploring the potential risks, liabilities and opportunities of connected cars, semi-autonomous and fully autonomous cars; and about breaking through the barriers with UBI in new markets. Indeed, throughout the day there were many similar discussions and claims – particularly about shared mobility and its impact on insurance. Andy Price – practice leader Europe, motor fleet at Zurich set the standards for fleet management and said the key success factors include getting the culture right. He also told delegates that fleet drivers don’t care how much their company is paying for insurance. “They are going to be more concerned about what they are paid for and measured on,” he said. Yet with a consumer driver there is a financial incentive to drive better. So, while the data gives information about what a driver was doing he argued that it’s crucial to ask question to establish driver motivation. The data isn’t enough unless you ask the person involved why certain actions were taken. “Data gives additional insight into what the driver was doing but it doesn’t answer why and so there is still a need for an interactive process between driver and line manager to find the answer,” he commented. Yet the telematics data can still be used for early interventions and it can be used to manage the risks associated with car-sharing. The cost of the insurance could thereby be based on how well or badly each member of staff driving a particular vehicle drives. The final sessions also looked at the rise of peer-to-peer car-sharing, The Transport Research Laboratory’s test project of GATEway in London, and Matteo Carbone, founder of the Connected Car Insurance Observatory, ended the first day’s proceeding with a look at the Italian connected car insurance market. Delegates then retired for networking and drinks in anticipation of the second day of the conference, which will talk about the UBI of tomorrow and future claims and accident management as the main headlines for discussion. There will be also more fireside chats and a further chance for delegates to get involved with some stimulating Q&A sessions.